Al Boliska (born in Toronto, Ontario) is a famous Writer from Canada, he is still alive and was born . 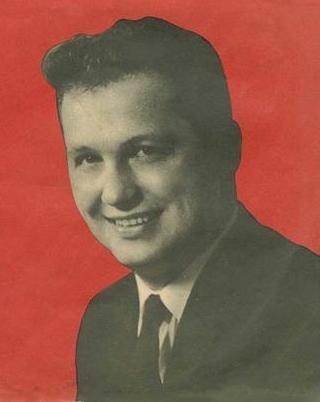 Boliska had made a name for himself as a disc jockey who got listeners talking. He also made them laugh, and became known for telling what he called the "World's Worst Jokes". Boliska also did a number of stunts, such as taking part in a professional wrestling match with Whipper Billy Watson. When he lost, that led to another stunt, where Boliska stayed away from his show for several days, saying he was now too discouraged by the loss to do his show. A hypnotist was called in, and Boliska's self-esteem was restored. Boliska left CHUM in late 1963 to go 'across the street' to CKEY. When he came to CKEY in 1963, he ended up as the second voice on 'The World's Worst Jokes' both on 'EY and, after he left in 1965, on the syndicated version carried on many stations across Canada. Al was always well prepared for each show having worked on it at home the previous evening and would rush down the hallway to Control Room/Studio 3 at the very last minute but was never late. After he left CKEY in 1965 he did comedy writing for the CBC as well as numerous other projects for the broadcasting and print media. Al passed away on his 40th birthday. Our collection contains 6 quotes who is written / told by Al, under the main topics: Sports, Technology, Travel. "Have you ever noticed what golf spells backwards?"